ends. 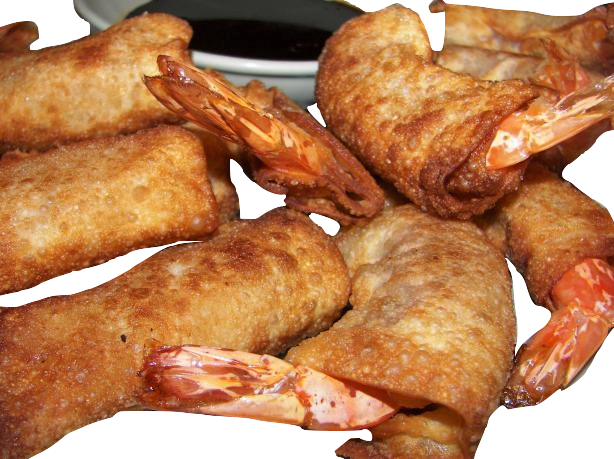 Deep fry the spring rolls in hot oil, 375℉ for 30 to 45 seconds or until lightly golden. 2. Drain on absorbent paper. Combine the lime juice and soy and place in small dipping bowls to serve with the shrimp rolls and an Asian green salad.